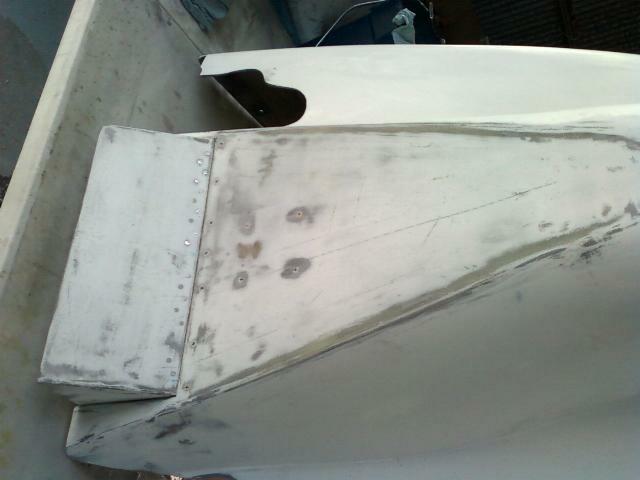 in that my engine runs too cold in cruise, so I'm thinking I'll cut down this area, then perhaps add a cowl flap. 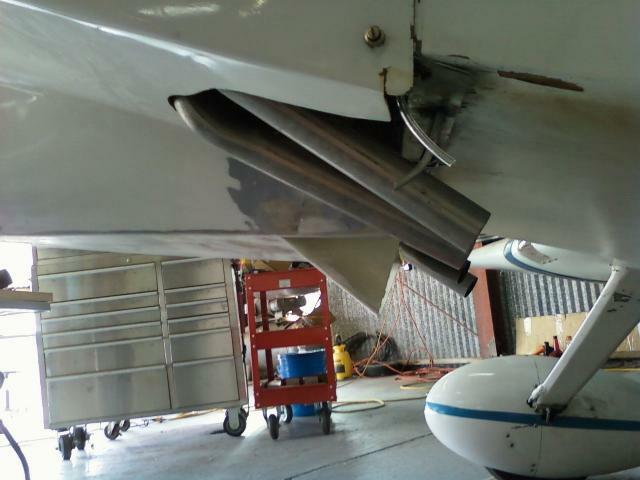 reduce drag a bit. 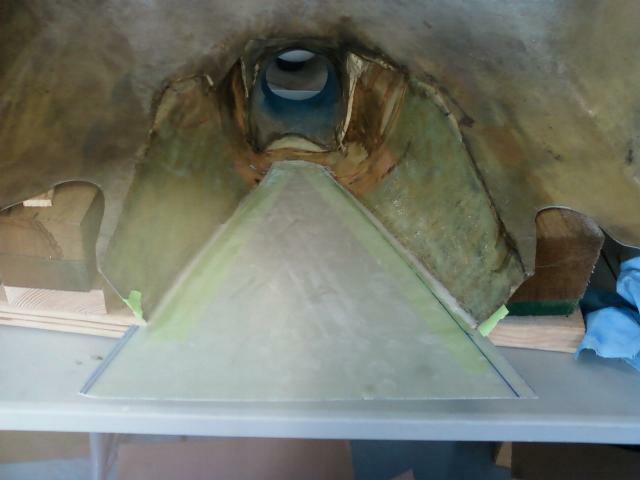 I attached the new bottom onto the cowl with a finger fillet of milled fibers and West Epoxy. line cures. 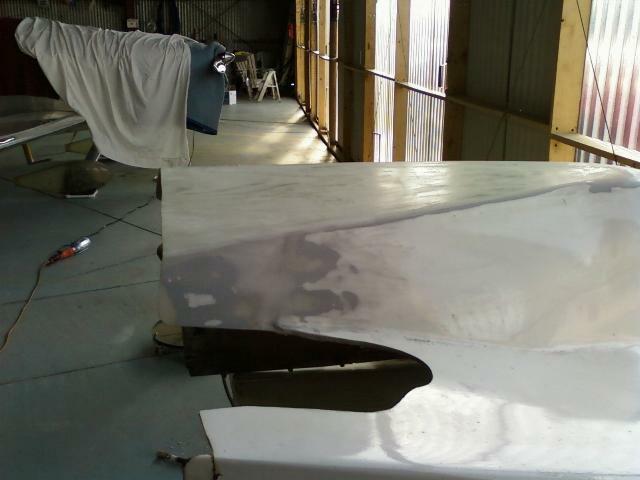 Clearly this is not the first or even the second time I have carved on this cowling. 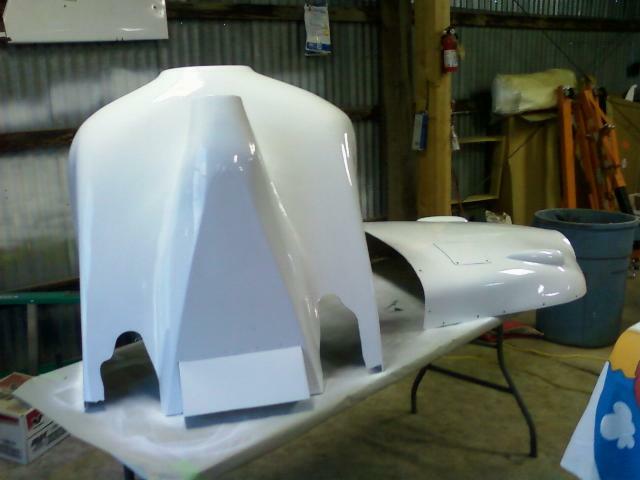 :o) The "duckbill"
that extends beyond the back of the cowling is what will eventually become a cowl flap. March 16 - Cowl bottom feathered in. 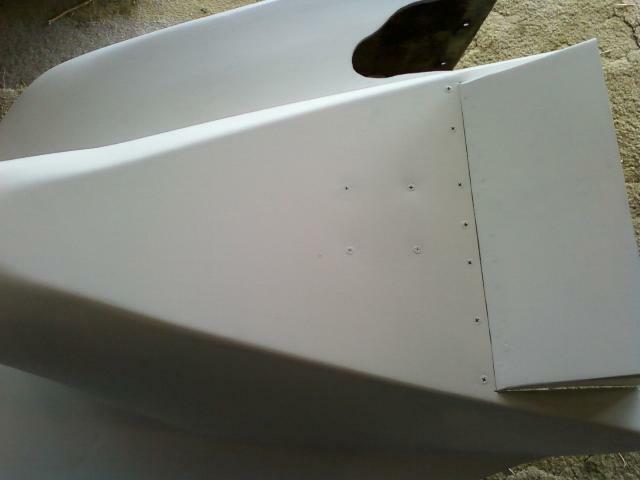 New cowl profile on the plane. 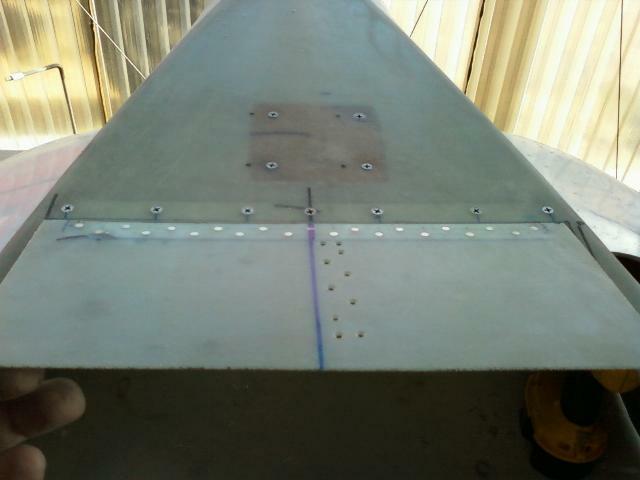 Compare this to the old lower cowl profile below. 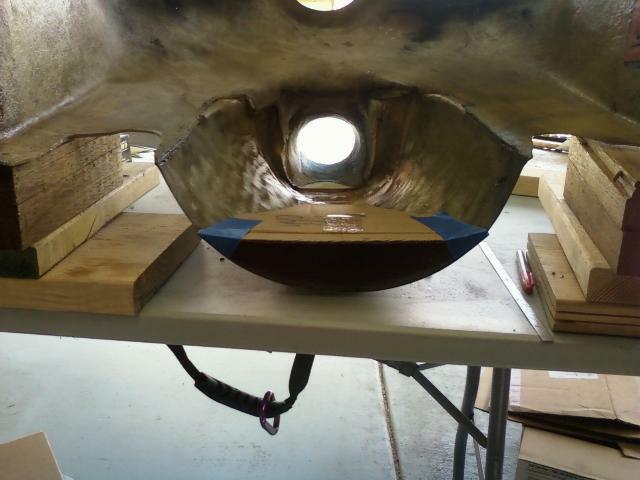 March 17 - I bonded in an extension on the sides to match the length of the bottom of the cowl. 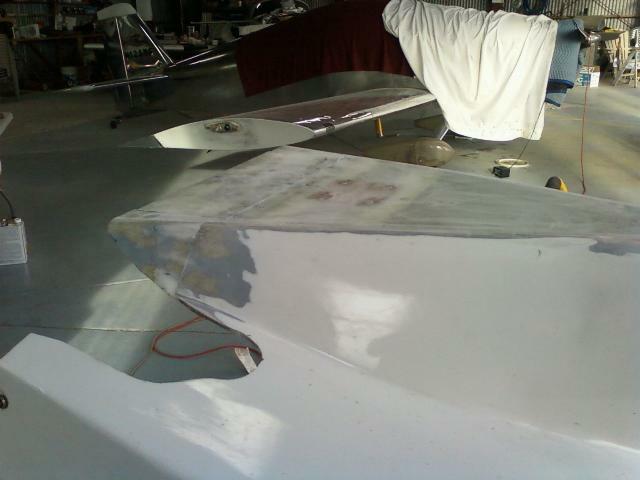 March 23 - Marking and cutting out cowl flap. 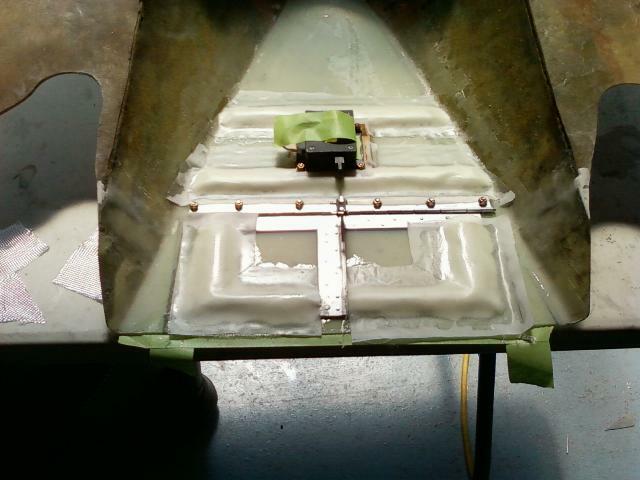 Mounting piano hinge for cowl flap. Riveting piano hinge to the flap. 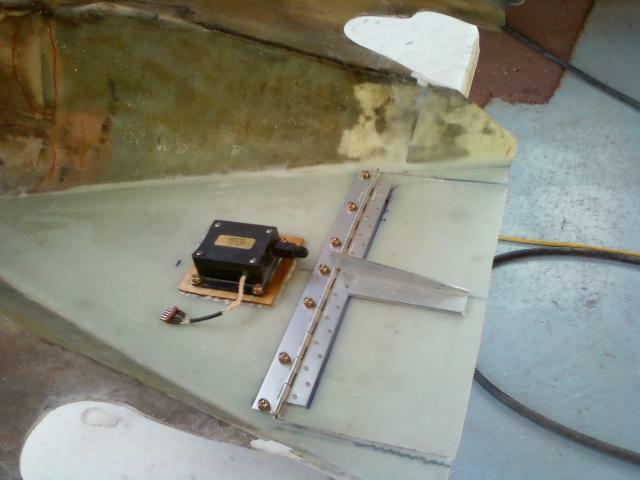 Cowl flap servo installed with plywood stiffener. 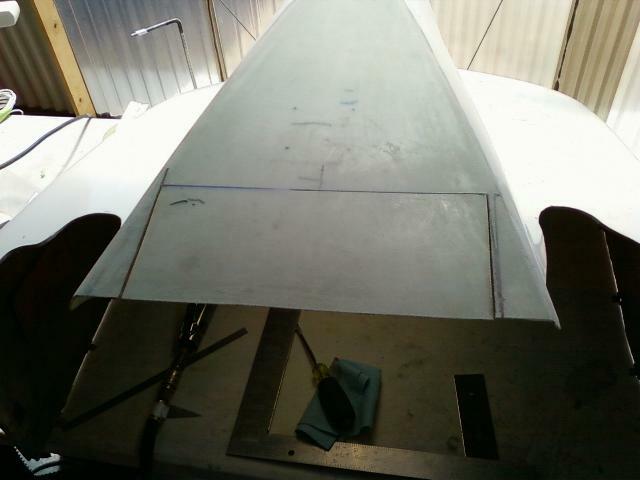 Preparing to rivet cowl flap control arm. 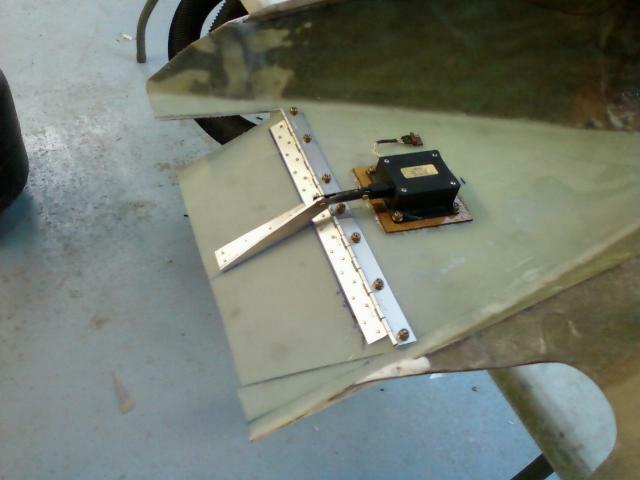 My old MAC trim servo mounted as the cowl flap actuator. foam bedded in a slurry of micro, and 2 laminates of BID 4.5 oz cloth, with one laminate at a 45* bias. 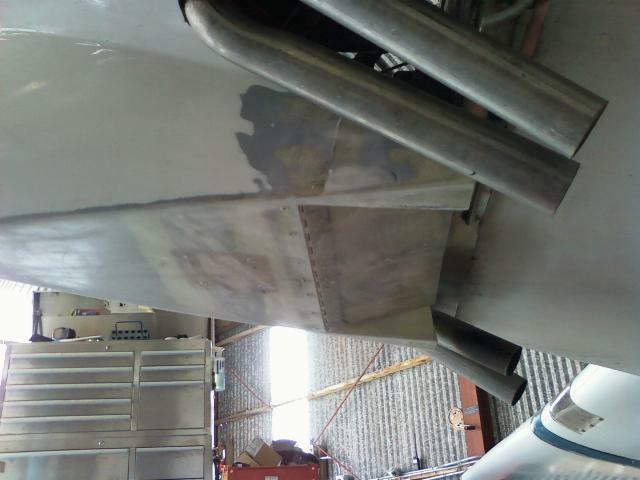 of the cowl is now rigid. 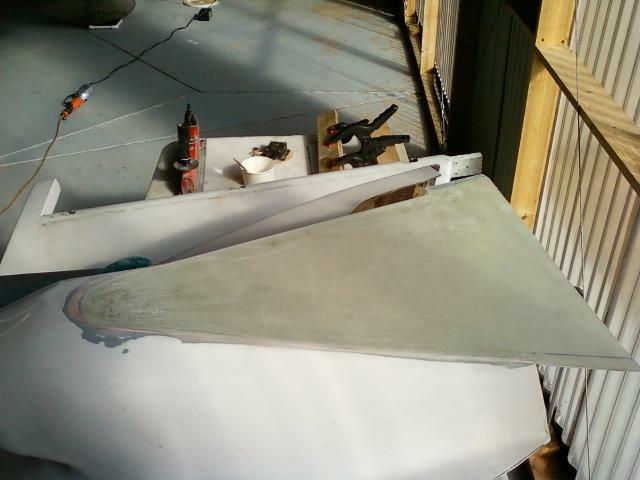 I cut more flat sheet fiberglass and added to cowl flap and cowl opening as edges. 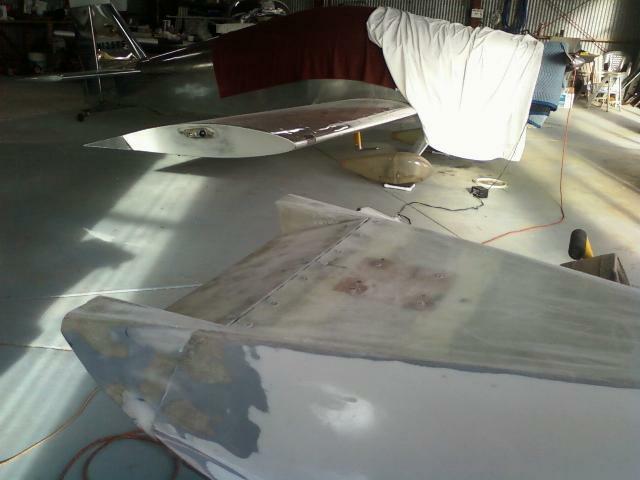 March 26 - Cowl Flap completed. Fully open. 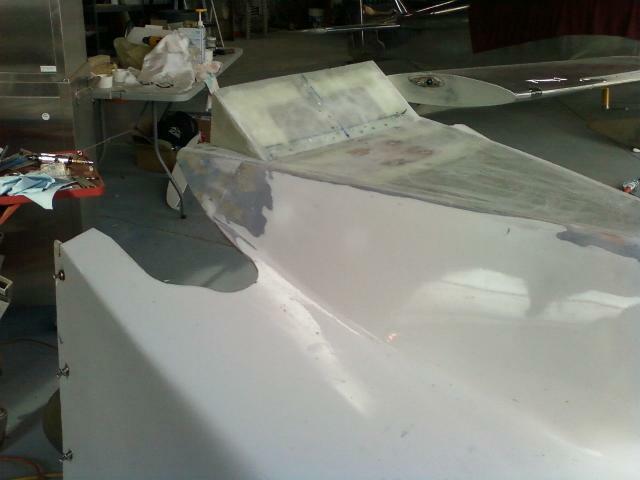 Cowl flap flush with bottom of cowl. 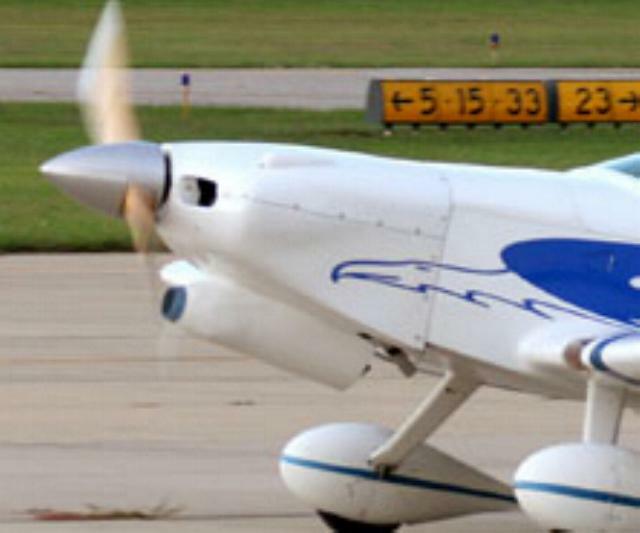 bring the oil temps up a bit, but generally, I probably won't fly with the cowl flap in this position much. the oil temp will usually slowly cool back down to 205 during cruise. March 30 - Cowl mounted while wiring cowl flap servo. 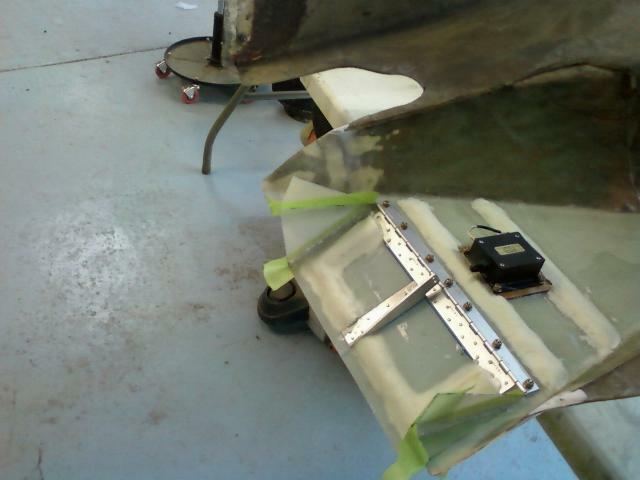 Cowl flap in the full open position. 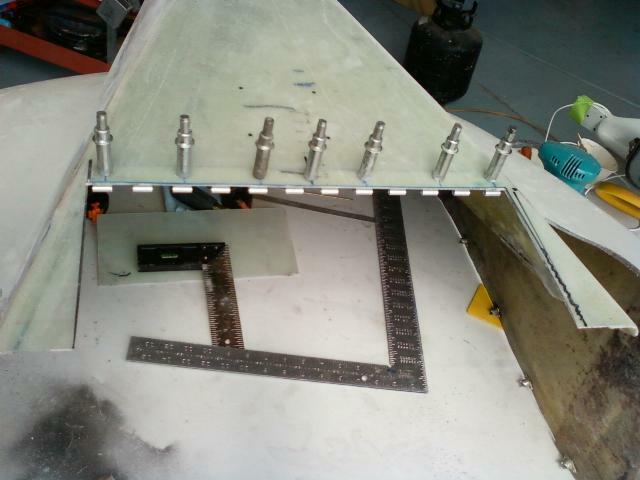 Cowl flap in the fully retracted position. 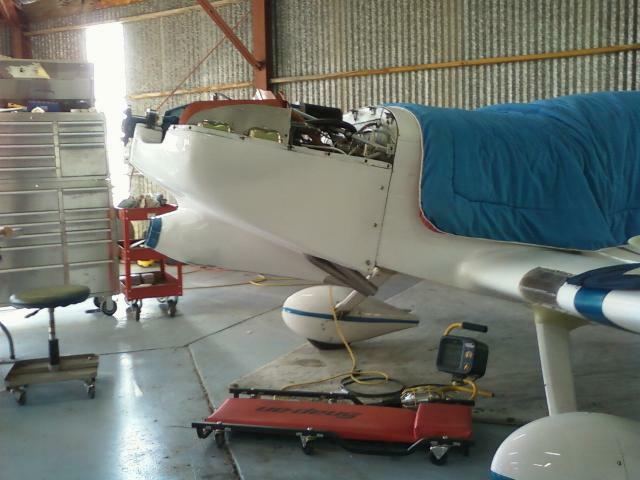 I'm not likely to fly it with it in this position, but we'll see. Se update above. I use this position a lot! polyester primer I shot which really exposed all the pinholes before I filled them. 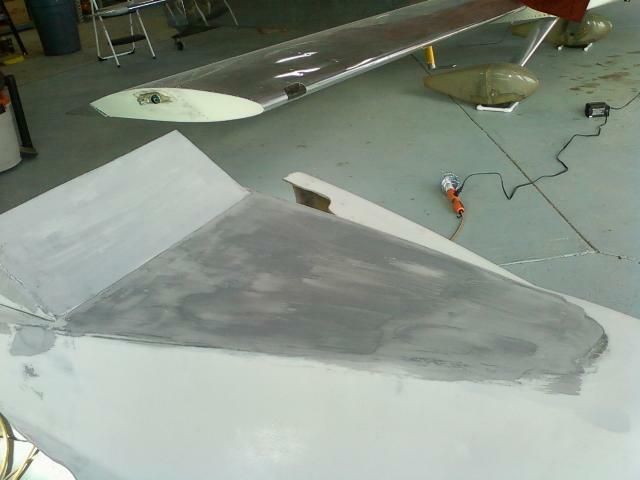 April 26 - After shooting with PolyEster primer after filling the pinholes. There are no pinholes now. well. 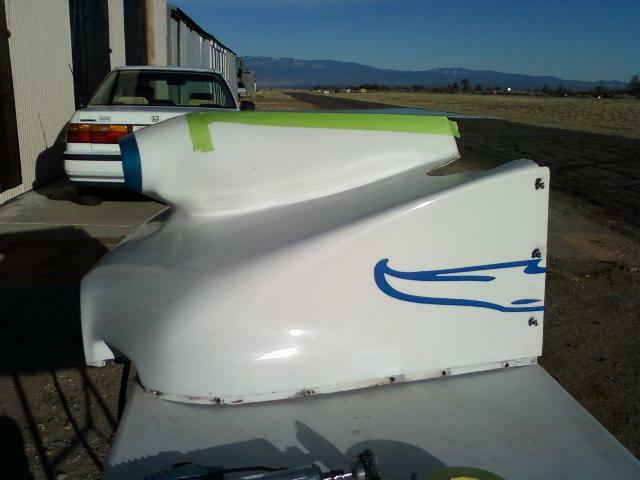 The graphics package is on order now as well.